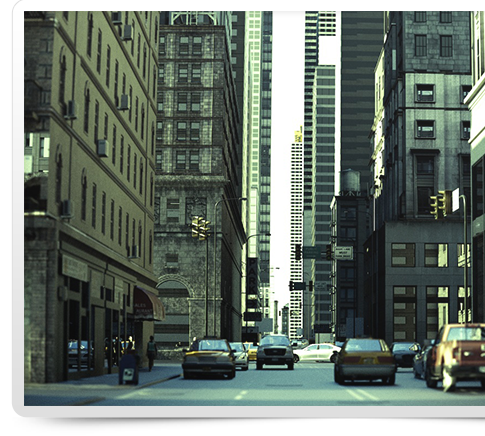 Brigade™ is a real-time rendering engine for video games. It uses path tracing to render images as opposed to rasterization like most other 3D game rendering engines. Path tracing is an extension of the ray tracing algorithm. It simulates many light paths per pixel and takes the average value to calculate the final color of each pixel. Whenever a ray hits a surface, a new ray is traced from that hitpoint in a random direction until the maximum path depth is reached or until a Russian roulette-like mechanism kills the ray. As a result, Brigade is able to produce effects like diffuse color bleeding, glossy (blurry) reflections, soft shadows, real area lights, true depth of field, and much more. With other engines, path tracing takes hours to render accurate environments or objects. In fact, in a well-documented case, it took nearly 22 hours to render a few seconds of ray-traced crystal balls moving around a table. Brigade can take motion-captured characters in an environment with path traced lighting and real-time shadow casting and render it in real-time at 30-60 fps. With Brigade, artists and game developers can design without rendering restrictions. There is no need for hacks, pre-bake maps or cheats. Brigade is now available in the first experimental release of Octane 4, and will be rolled into all Octane 4 integrations. STAY IN TOUCH. Sign up for OTOY® updates and promotions. © OTOY Inc. – 2017 All Rights Reserved.